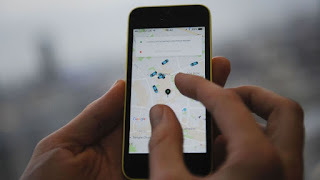 The American taxi app firm looked into 215 complaints relating to sexual harassment, bullying, discrimination and other violations of company policies. Some 57 of these allegations remain under investigation. The action comes after a former employee wrote a blog alleging sexual harassment and sexism at the company. Susan Fowler, who worked as an engineer for Uber until the end of 2016, claims her manager made sexual advances shortly after she joined in 2015. Ms Fowler's blog prompted Uber to set up a 24-hour hotline to take complaints from employees, and it hired lawyers at Perkins Coie to investigate them. Bobbie Wilson, a partner at the international law firm, said the firings included both managers and lower-level workers, some of whom retaliated against employees after they complained about bad conduct. The investigation into Ms Fowler's complaints is still under way, and Ms Wilson would not say if any of those fired, or 31 other employees placed in counselling, were involved in that. She did say Uber has given her law firm "unfettered access" to people and documents. The Perkins Coie investigation is separate from one being carried out by former US Attorney General Eric Holder, who is expected to publish his report next week and make broader recommendations on how to change Uber's culture. The taxi app has been hit by a wave of recent controversies, including the release of a video showing embattled chief executive Travis Kalanick shouting at a disgruntled driver who complained about the company's pay scale, and a lawsuit from Google owner Alphabet over alleged stolen technology for self-driving cars, something it denies. In a separate announcement, Uber, which is valued at nearly $70bn (£54bn) and has 14,000 employees, said it has hired Apple marketing executive Bozoma Saint John to improve the company's brand image. She ran global consumer marketing of Apple Music and iTunes. "Boz has a long track record of successfully creating emotional connections between people and the products they love," said Mr Kalanick in a statement.